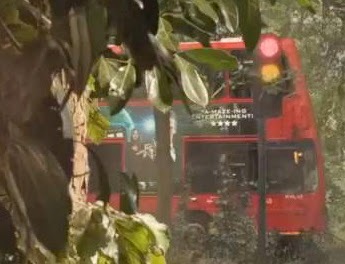 Life, Doctor Who & Combom: Doctor Who Advert on the Bus in In the Forest of the Night? Doctor Who Advert on the Bus in In the Forest of the Night? Doctor Who hasn't really shied away from being meta this past few episodes and has even broken the fourth wall a few times, such as the first Doctor wishing everyone at home a Merry Christmas or a TV announcer almost announcing the "new science fiction series Doc-", but could this be the biggest one yet? 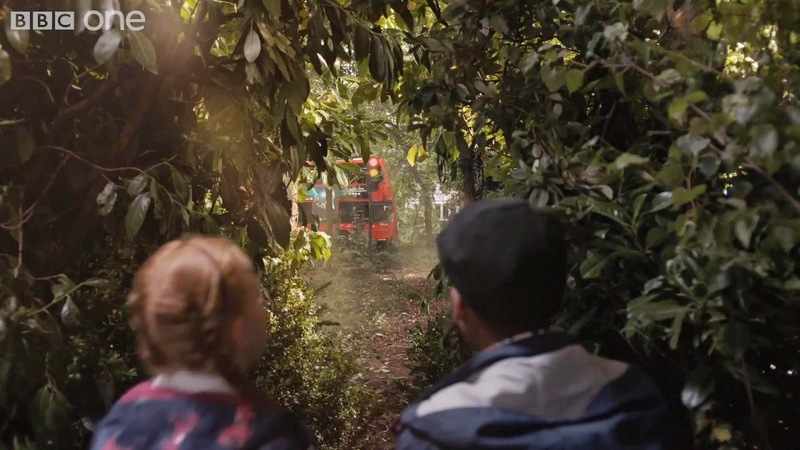 In the preview trailer for the next episode, In the Forest of the Night, we see a London bus in the forest. If we look closely, we can see what appears to be a promotional shot of The Doctor and Clara with the quote "A-Maze-Ing Entertainment!" and four stars below it. Here is the original piece that the art belongs to. This is a fan-made wallpaper photoshopped from the official promotional images released early this year. The creator, Logan Fulford, originally uploaded the wallpaper to his Flickr account late January. It can be noted how we don't see the logo on the bus. So in this episode, we see the group land with the kids in a forest, which is really a maze that the characters have to solve, perhaps for TV entertainment? Could this be a parallel universe? 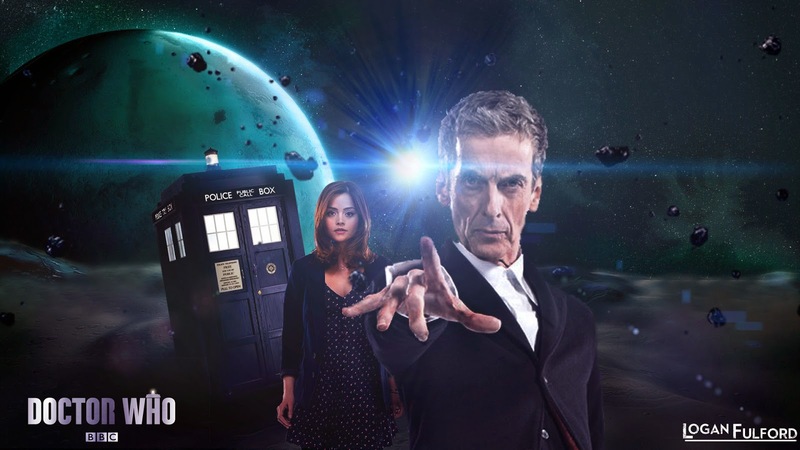 Could Doctor Who exist in Doctor Who? Easter-egg? Could this be a load of BS tomake me make this post? Comment below! Will need to rewatch but good spot. The quote portion ('a-maze-ing entertainment') is from a Maze Runner bus ad. They's photoshopped on the DW wallpaper to cover up the Maze Runner characters and title. I think they hired the bus complete with the Maze Runner ad then covered it up in post, so I suspect this is just an easter egg. Check out "Redshirts" by John Scalzi, if you like that kind of thing. Check out Jorge Luis Borges' Library.